Installed Grado Prestige Red2 on Onkyo CP-1046F. 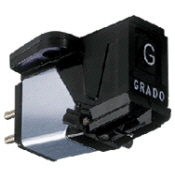 Cartridge has special character - it is good for classical, jazz and vocal music, selectively can be used to listen rock but not good for pop/dance or electronic music. And it hums on this turntable, hum is louder near record centre and lower on the edge.